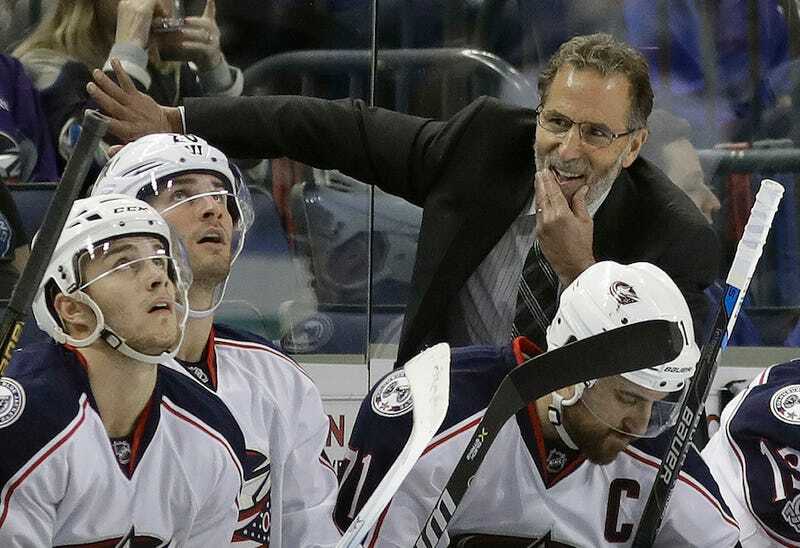 Columbus Blue Jackets head coach John Tortorella missed the team’s game yesterday against the Nashville Predators, and will skip the NHL All-Star Game this weekend, due to a family emergency. Today, Tortorella clarified that everyone was okay, and gave his reason: his son’s dog is sick. The dog that is ailing is a 10-year-old pit bull, Emma. She belongs to his son, Nick, who is a U.S. Army Ranger stationed abroad. “I needed to see this through,” Tortorella said. The NHL forces players and coaches to miss a regular-season game if they have to miss the All-Star Game, which is presumably why Tortorella, who was scheduled to coach the Metropolitan Division Sunday, missed the game against Nashville. Torts loves his dogs.